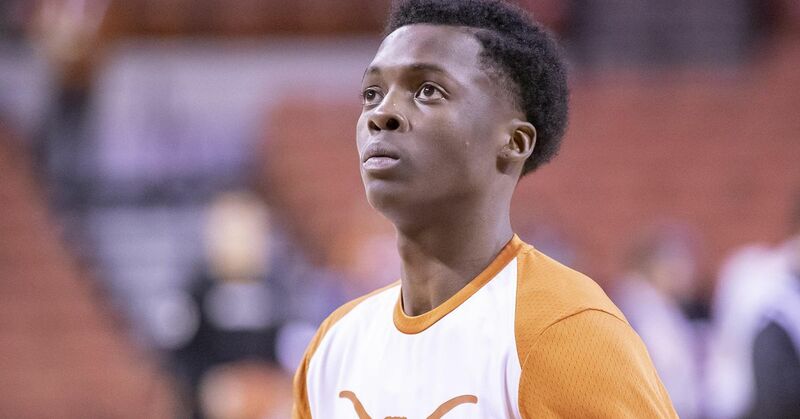 Texas Longhorns junior guard Andrew Jones made an emotional return to the court Tuesday after missing 20 games last season because of leukemia treatment. Jones, who is recovering from a broken toe, recorded one point, one rebound, one assist and one steal in nine minutes. After the game, Texas head coach Shaka Smart discussed how it felt to have Jones back, per ESPN.com: "It's great to see Andrew out on the court. I loved the way the crowd and everyone in the building reacted to him going in the game." Jones made a big impact for Texas as a freshman, averaging 11.4 points, 3.9 rebounds and 3.5 assists per game. He then put up 13.5 points, 2.4 rebounds and 2.0 assists per contest in 10 games last season before getting leukemia treatment. Jones will have a chance to build off his season debut Friday when the Longhorns face the Arkansas Razorbacks from Fort Bliss in El Paso, Texas.